With half the year almost passed, now is a great time to make a status report on the best popper brands this last few months: the best poppers, the strongest ones, the new popper releases etc. As you very well know, there are hundreds of brands of poppers on the market and each person has its own favourite and that is a good thing. Online stores like buypoppersnet.com carry a wide selection of poppers, from the strongest to the most delicate, from amyl or pentyl nitrite to isopropyl poppers. Fist of all let us talk about the big names… Yes, we all know the classical Rush Poppers, Jungle Juice, Blue Boy, Amsterdam and others like them are great and that a list of the best popper brands without mentioning them is lacking. On the other hand, we also want to tell you is that there are a lot of other great popper brands out there that deserve you consideration. In the last few months we have noticed a lot of new brands arriving and start conquering the popper market and the likes of our customers. 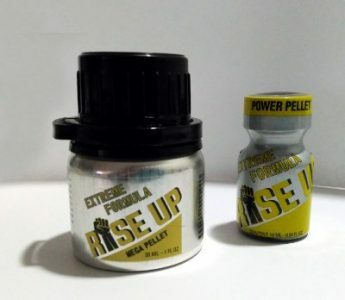 Available in an unbreakable 30ml bottle or on a standard 10ml one, Rise Up poppers rapidly became very popular. You can buy the 30ml Rise Up popper HERE and the 10ml Rise Up bottle HERE. Like it says on the product description: “As the mythical beast that gives it his name, the Kraken popper has an amazing power that will involve you in a strong and sturdy grip.” This is a great choice for isopropyl nitrite lovers. Ghost is also another popular newcomer. Ultra strong, it also has a mega pellet inside that helps it stay fresh and strong for longer, after opening. Dragon Poppers are an oldie but goodie. They come in 24 and 9ml and are considered by many as one of the strongest poppers on the market. 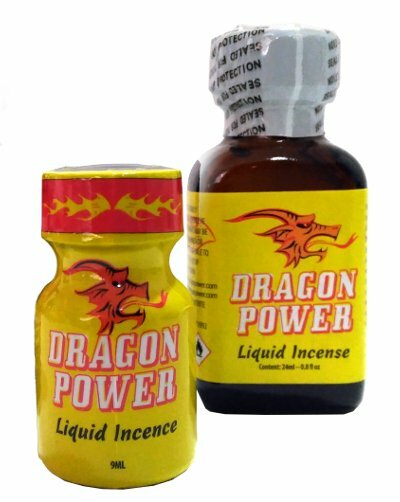 You can buy Dragon Power 9ml HERE and Dragon Power 24ml HERE. As we talked about on THIS ARTICLE, El Toro is a very powerful popper made from a mixture of isopropyl nitrite and pentyl nitrite and loved by those who search a super strong, unique popper. What do you think of our selection? Have you tried them all? Let us know your thoughts in the comments below. RUSH SPECIAL EU FORMULA and RUSH ULTRA STRONG: what are the differences? I arrived at this site while searching for a comparison of the chemistry of different brands and an understanding of the different nitrites. I tried most of them. Here is my feedback. * EL TORO was the best for me, strong and no headache or eye burns. Lasted 4 days after opening it – best so far. * GHOST is strong but it hurts my eyes and head, also the mentholated smell makes me cough. On the bright side it is still very potent after 14 days from opening it – Amazing. * DRAGON POWER (the red one – not the yellow one) exploded and squirted all over the place when I opened it. Very strong – no side effects – but it was stale after the 1st day and almost out on the 2nd day. On the 3rd day useless smell of paint dissolvant. This week I plan to test: KRAKEN and STOKE. Thank you for your suggestions and this article. Amazing facts. I love EL TORO. Thanks! Previous story How to pay with BitPay on Buypoppersnet? How to pay with BitPay on Buypoppersnet? Robert Bill on How to pay with BitPay on Buypoppersnet? Buypoppersnet Blog © 2019. All Rights Reserved.